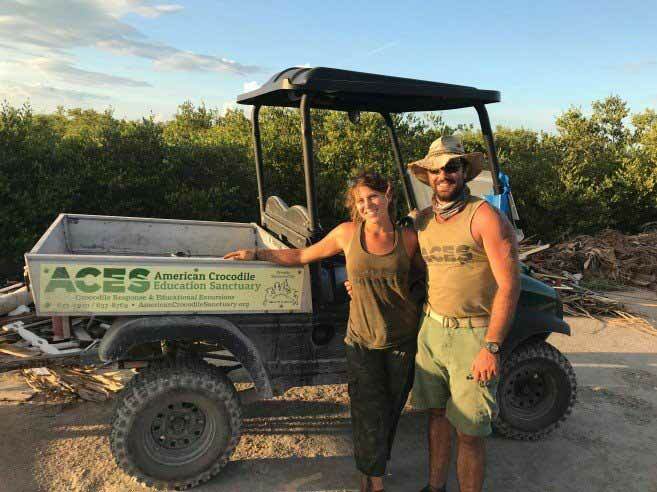 American Crocodile Education Sanctuary (ACES), a wildlife conservation organization located on Ambergris Caye, received a new Club Car Utility Vehicle thanks to funds granted by Fondation Brigitte Bardot. 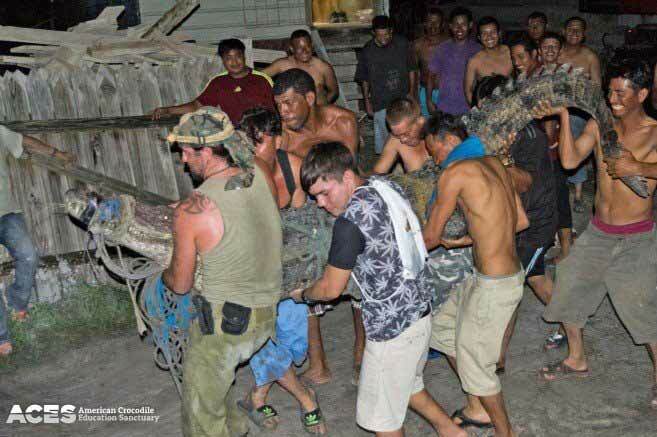 The much-needed vehicle was quickly put to work, as not ten minutes after completing the vehicle registration; it was being used for an emergency relocation of a 10.5-foot American Crocodile named Eeyore, who had situated himself under a residential home and refused to move. Once the animal was safely and humanely secured, it was transported in ACES new vehicle to a location north of town and full of mangrove channels. But the vehicle’s first day on the job wasn’t over yet! Fifteen minutes after the release of Eeyore, ACES received yet another call about a 9-foot American Crocodile named Parta, who had crawled underneath someone else’s home in a different neighborhood and stubbornly refused to vacate the premises. So once again, ACES brand new (but now very dirty) vehicle moved the heavy animal away to a more suitable croc habitat. Fondation Brigitte Bardot, a French organization dedicated to animal protection since 1986, has been a key benefactor of ACES, providing funding for emergency wildlife rescues and the construction of habitats for crocodiles in Belize since 2012. ACES previous vehicle was prone to mechanical failure at the most inconvenient times, but thanks to this generous grant and purchasing of the new vehicle, ACES has responded without fail to numerous wildlife emergencies across the island, including the removal of some stubborn snakes, rescue of stranded and/or injured birds, as well as responding to the usual crocodile related calls.